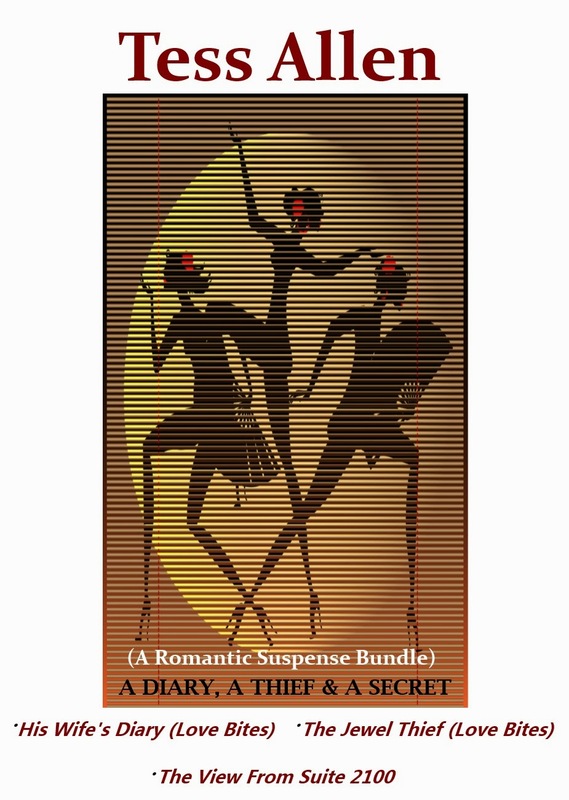 The Tess Allen romantic suspense bundle, The Trilogy: A Diary, A Thief & A Secret, is a collection of Allen's novellas "His Wife's Diary (Love Bites)", "The Jewel Thief (Love Bites)", and "The View from Suite 2100." It is available to digital readers at Amazon, Barnes & Noble and other digital sites and now is also available in paperback. You can purchase your paperback immediately by clicking HERE, or click on this Amazon link, and it will soon be available wherever else paperback books are sold online or at your favorite store! If digital is your favorite way to read look for this image! I'm really pleased to share with you that I've been selected as the featured spotlight poet at the wonderful literary site TimBookTu! 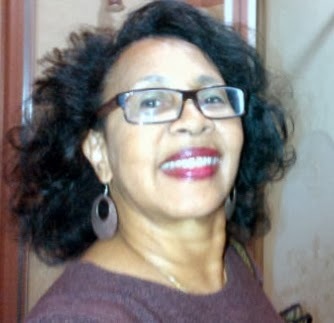 I hope that you'll take time to visit and read what I'm sharing there, but, above all, I hope that if you are not familiar with TimBookTu you'll discover this overflowing fountain of poetry, fiction, essays and much, much more from a host of emerging and established writers who are a part of or have been influenced by the African Diaspora. It is truly an amazing site! 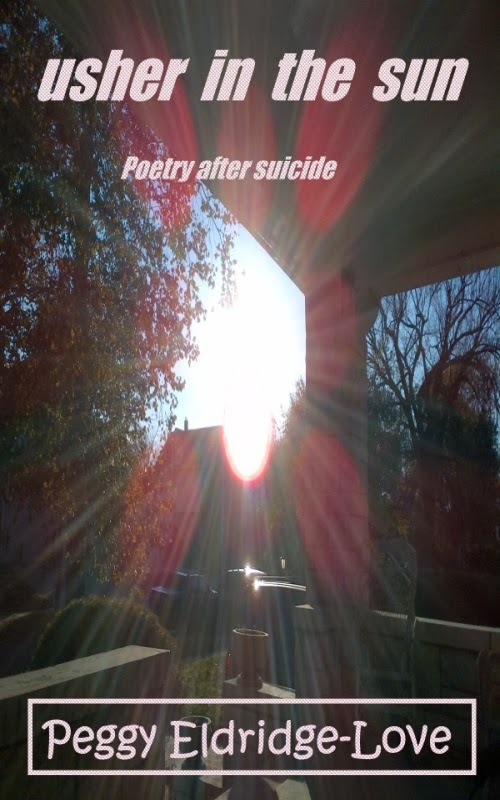 Usher In The Sun, Poetry After Suicide is a collection of poetry that sprang into being after the loss of a close member of the poet's family. 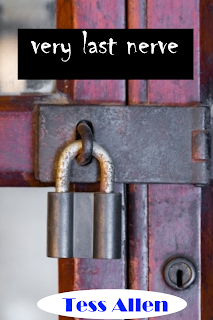 Devastated, lost, confused but having to go on with life, this is a venture inside the inner workings of a mind and heart torn apart that is trying to find a place in the world she lives in to return to the changed normal Peggy Eldridge-Love inherited. Perceptions change of everyday life, everyday people, everyday events and, though the offerings might sometimes seem disconnected, they are in fact all inner woven into the fabric of survivor survival. Eldridge-Love shares that the working title of this collection was Ushering in the Sun, Poetry after Suicide, Written through Distorted Lenses, Chasing after Understanding, Climbing the Ladder back to Hope. It is fitting. I recently started to make some touchstones for people I care about. Little permanent things, paperweights or desk ornaments or whatever you want to label them, but things that I wanted to be permanent reminders of how much I cared for them or positive little affirmations I wanted to remind them to keep close at hand. It didn't take long before a few requests started to come in for other touchstones for other people who wanted to give them to people they cared about as well. It has become one of the things I most enjoy doing when time permits, but I thought I'd just share how they are made with you in this post today. Just in case it is something you want to do for someone you care about as well. Mosaic tiles - I use the ones used for kitchen splash boards available at hardware stores in a variety of sizes. I like the lighter colored ones. Usually come in sheets or small boxes and are priced very reasonably. One of the things I love most about making touchstones from these mosaics is their imperfections...corners may be chipped, surfaces may not be entirely smooth, just like us...I like the imperfections. Once removed from their packaging you should dust them off with a dry cloth to remove the chalky residue. Once that is done you are ready to go. Sharpies are my favorite markers to draw my designs or write my messages because they maintain their distinct integrity when the decoupage glue is used to cover it. I will also use stencils for some designs and use markers to outline them or I might use acrylic paints. 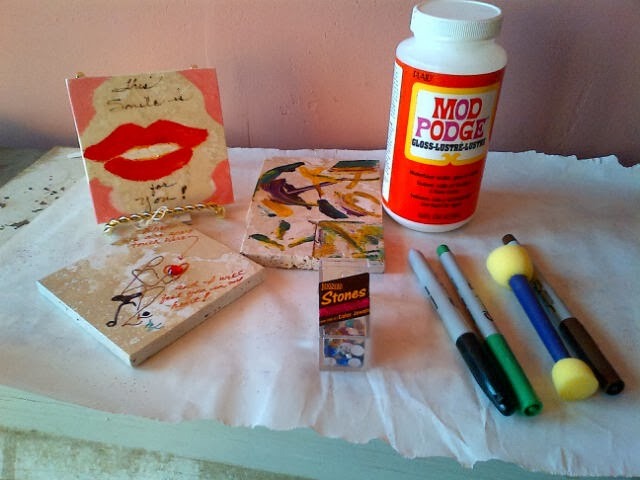 I use Modge Podge as my decoupage glue of choice currently and once I've drawn or written or painted my design I cover the entire tile with the glue. If I want to add fabric, feathers, acrylic stones, glitter or sequins or anything else interesting I will lay them onto the tile after the first application of glue and then go over it with another layer. As each layer dries you might want to add another and another until you have either the flat or glossy effect you want. Note: There are multiple choices of finishes available with the decoupage glues on the market to choose from. Allow it to dry completely and your touchstone is ready! 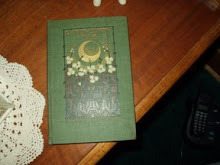 Occasionally, I offer touchstones in my Etsy shop or will do them on a custom basis (click to inquire). I do some using my Nudgies figures and some with specific holiday or event themes. But I've been told they are definite keepers, so if you want someone to remember something special coming from your heart give them a touchstone. 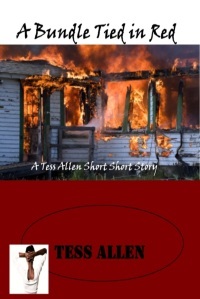 Something new from Tess Allen coming soon! 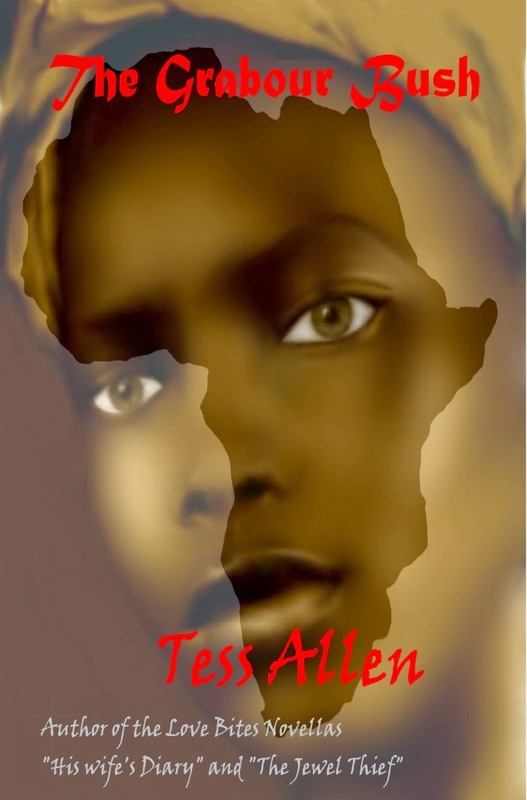 All Tess Allen titles are available through Amazon, Barnes and Nobel and other online booksellers! Click on your favorite bookseller links above to learn more about Tess and these titles now! 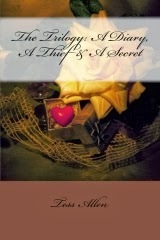 *Peggy Eldridge-Love also writes as Tess Allen!